Wright & Schulte LLC Files Another Metal-On-Metal Hip Lawsuit Purporting DePuy Knew About Hip Failure Before The Woman Had Her Pinnacle Hip Implant. 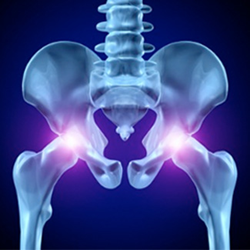 The firm is currently representing numerous plaintiffs in DePuy Metal-on-Metal Lawsuits and continues to offer free legal consultations to those who believe they have experienced pain or required revision surgery due to the purported failure of DePuy Pinnacle Hips by calling 1-800-399-0795 or visiting http://www.yourlegalhelp.com for more information. The hip implant lawsuit purports that DePuy knew that the product was defective when the then 38-year-old Ohio woman had her artificial hip surgery in August 2005 because the company had received reports of the Pinnacle implant failing shortly after DePuy launched the hip replacement system in 2002. The metal-on-metal hip lawsuit also purports that DePuy refused to publicly disclose the hip failure reports and this resulted in the Ohio woman not having the information she needed to weigh the true risk of using the Pinnacle Hip System against its benefits. In May 2013, Johnson & Johnson announced that it would phase out its DePuy Pinnacle metal-on-metal hip replacement systems due to declining sales and the U.S. Food & Drug Administration’s (FDA) plan to change regulations regarding all-metal hip replacement medical devices. In January of that same year, the FDA said it would require makers of all-metal hip replacement systems to conduct scientific studies, including clinical trials involving humans, to prove that their medical devices are safe and effective before they can continue selling them in the United States. Prior to 1976, manufacturers could get their medical devices approved for sale if they were believed to be substantially equivalent to similar medical devices already on the market. The DePuy Pinnacle hip lawsuits under MDL 2244 allege that by telling the FDA that the Pinnacle Hip’s design was “substantially equivalent” to other hip products on the market, DePuy was able to avoid the FDA’s safety review that would include human clinical trials. After the FDA’s call for a more rigorous review, the New York Times reported that DePuy issued a statement saying that the company had notified the FDA that it would not conduct studies on its all-metal hip devices. At the same time the FDA announced its regulation changes of metal-on-metal hip implant systems, the agency also noted that metal particles from the implants can rub off due to wear and corrosion that occur over time. According to the FDA, metal particles are released when the metal ball and the metal cup of the hip implant slide against each other when a person walks on run. This metal debris can cause adverse local tissue reaction, which is damage to the bone or the tissue surrounding the implant and the joint. According to the FDA, this tissue damage can lead to the implant loosening and failing and resulting in the implant recipient experiencing pain and a need to have revision surgery to have the implant removed. Court documents indicate that the DePuy Pinnacle Hip System lawsuits pending under MDL 2244 all allege that the implant recipients were forced to have revision surgery to remove the artificial hip or will have to undergo surgery in the future. The DePuy Pinnacle lawsuit recently filed by Wright & Schulte LLC alleges that the Ohio woman may need additional future surgeries and faces possible metal poisoning, bone loss, chronic pain, a decrease in her quality of life and other serious medical problems. (Case No. 3:14-cv-02429k) A similar lawsuit filed on behalf of Montana woman who underwent a revision surgery to remove her DePuy Pinnacle metal-on-metal hip implant has gone to trial this week in the U.S. District Court, Northern District of Texas. (Herlihy-Paoli v. DePuy Orthopaedics Inc., 11-cv-3590). According to Wright & Schulte LLC, this is the first DePuy Pinnacle hip replacement lawsuit to go to trial and this test case will serve as a bellwether to help determine the strength of the plaintiffs' claims in the other DePuy Pinnacle lawsuits and offer some insight as to how jurors will rule on the other cases in the future. Wright & Schulte LLC, an experienced personal injury firm, is dedicated to the belief that America’s legal system should work for the people. Every day, the attorneys of Wright & Schulte LLC stand up for the rights of people who have been injured or wronged and fight tirelessly to ensure that even the world’s most powerful corporations take responsibility for their actions. If you’re looking for a law firm that will guarantee the aggressive and personal representation you deserve, please do not hesitate to contact Wright & Schulte LLC today. Free DePuy Pinnacle Hip lawsuit case evaluations are available through yourlegalhelp.com or by calling 1-800-399-0795.